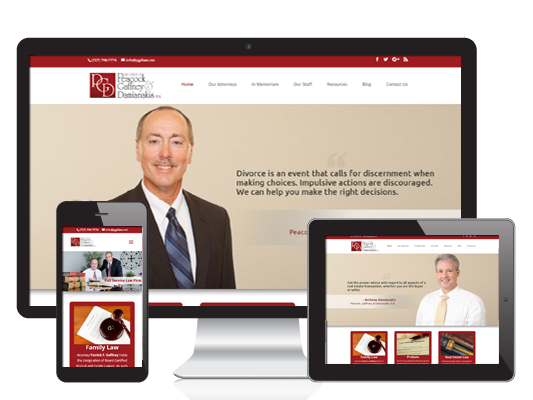 WordPress powered responsive website created for Law Firm Peacock, Gaffney, & Damiankis P.A. We also did their headshots and staff photos. Before we built this website for them, they showed up on page 6 when you searched Google for “divorce attorney clearwater”. Now they show up on page 1!